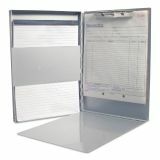 Saunders Snapak Aluminum Side-Open Forms Folder, 1/2" Clip Cap, 8 1/2 x 12 Sheets, Silver - Side-opening form holder with 3/8 storage compartment features an inside clip that allows easy access to forms. High-tension serrated clip securely holds a stack of paper up to 1/2" thick. 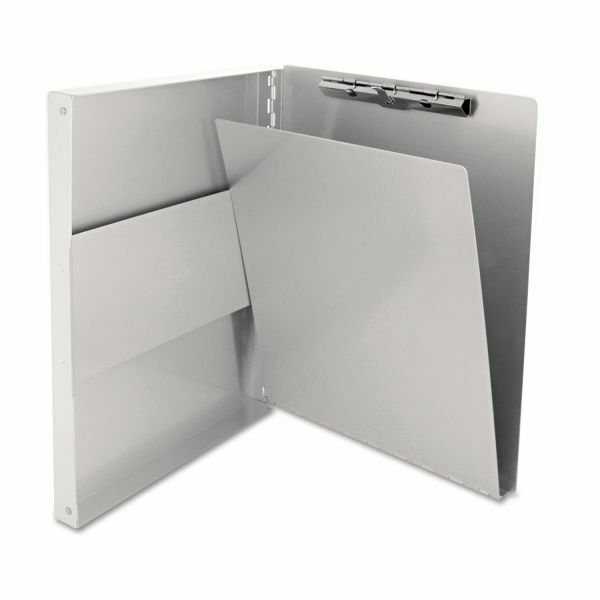 Hinged writing plate conceals documents and prevents write-through on multi-part forms. 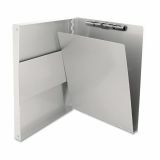 Storage compartment holds more than 30 forms with a hinged strap inside the cover. 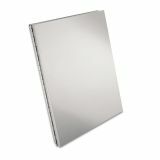 Form holder is made of aluminum with a high percentage of recycled material.